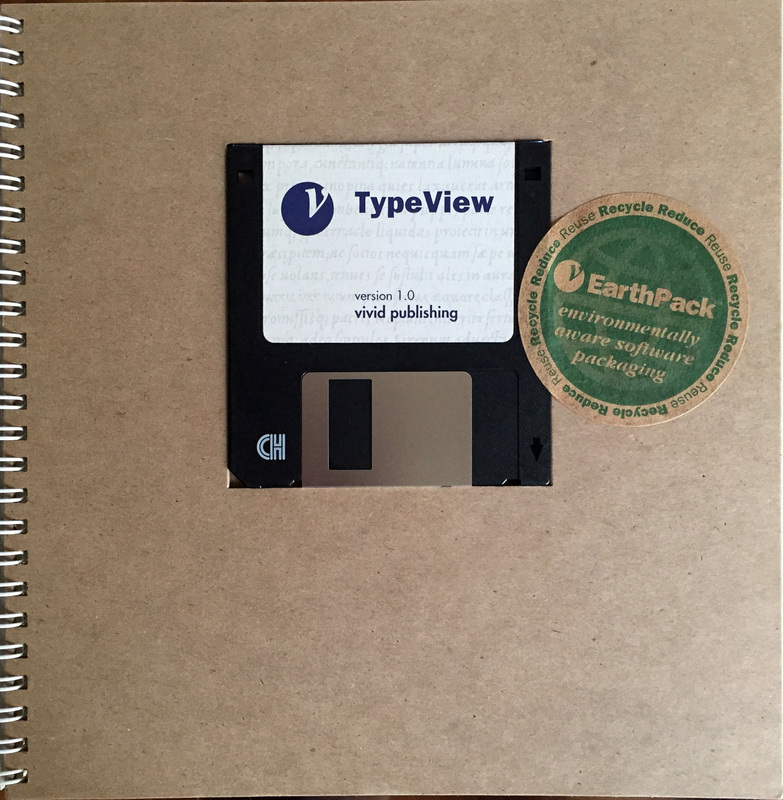 When the software utility TypeView was ready for distribution, the options available for packaging were meager, wasteful, and unacceptable. We designed a small package that could be used to ship and display the software and manual in one piece. 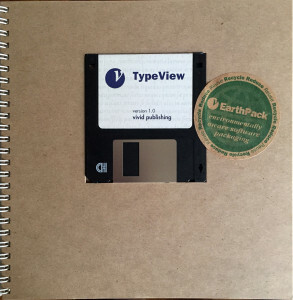 This package design also gave users a way to store the manual and diskette on a shelf with other reference resources (mainly books) and kept the materials and waste to a minimum. We have published the specifications and suppliers for these materials in several forums and make them available free to anyone who inquires. 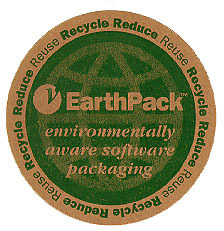 The design of the Earthpack is based on a squares piece of standard letter-sized paper. This is done to shorten the height to fit more the height of shelves commonly used to store manuals, and to echo the shape of the NeXT computer for which this software was written. The grid system has been designed to work with both two and three columns of text as well as a radial grid for chapter opening pages that orients all elements to the center of the page. The typography makes use of the typefaces in the NeXT operating system and on the keyboard. Whenever a button, menu command, or feature is referred to, a screenshot of the feature is used. This helps identify the items and familiarize users with them. The manual specifications were built around the need for a simple manual and diskette (or CD-ROM) holder. We used recycled materials for all parts but the cover and kept the ink use to a minimum in the design and layout and all parts of the manual are recyclable. The only material that gets thrown away is the shrink-wrapping that encloses the entire package. We have yet to find an acceptable alternative for this requirement. There is a slight coating on the cover but we decided against any kind of laminate to make the cover more easily recycled. We designed a logo and sticker to brand the packaging and point-out its ecological sensitivity because suppliers were wary that consumers might find the lack of big packaging a detriment to the perceived value of the product. The artwork and specifi-cations for the sticker are available free to anyone who wishes to support the goals and specifications of the package design. One of the unsolved controversies of ecologically sensitive packaging is the difference in impact between soy-based inks and laser toner. We found little information to support the benefit of one solution over the other, but in the end chose the laser toner, demand-printing option because it allowed us to print in smaller batches less expensively and respond to changes in the manual’s content more quickly without throwing out lots of old and out-of-date manuals.